Some website had the gall to broadcast how many days I have until Christmas. Really?? Can't we just enjoy our families and time together without feeling like we are strapped to a rocket heading from Halloween to New Years? 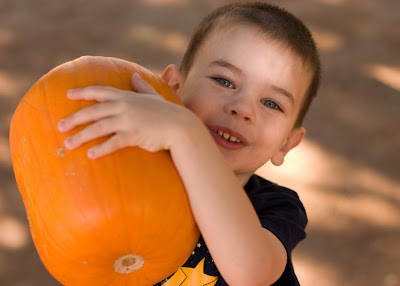 Little Dude picking out his pumpkin. Little Miss displaying her face paint. 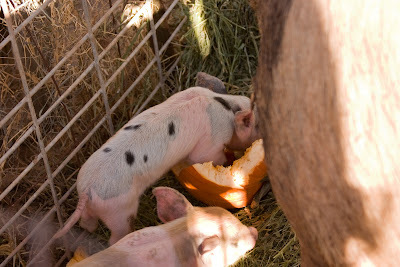 Little piggies gorging on a cracked pumpkin. These little guys were just born less than two weeks ago. Their large imposing Mom (who was quite literally pigging out on the pumpkin snack) made it difficult to get a good shot of them. 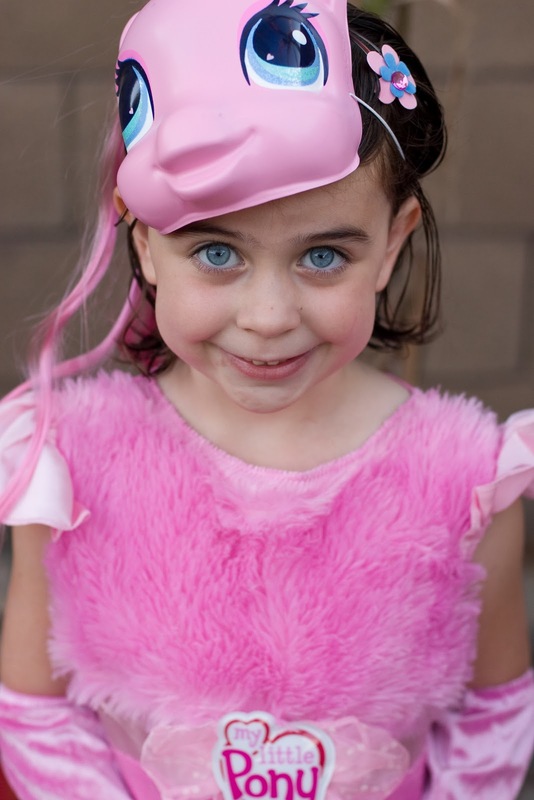 Little Miss was a My Little Pony (specifically Pinkie Pie--no I am not proud that I know all the My Little Pony names lol). So with Halloween come and gone it is time to gear up for the rest of the holidays. 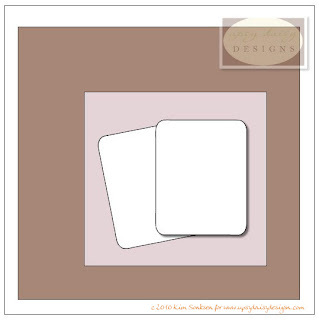 Remember the ScrapTiffany blog hop is next Monday and Tuesday--lots of holiday projects to jump start your inspiration. Also the November kits are on sale at 3 Scrappy Boys. I don't design until next month, but the November gallery is fabulous and the kits look packed with goodies as always. Hope your Halloween was happy and your week is going well. love love the pics and the piggies :) i know how you feel..i am freaking out about november!!!!!!!!!! off to check out the blog..congrats on your first lo with them!!! it's awesome! Oh wow....your kiddos are just adorable!!! Fantastic layout too! Yay Congrats on Upsy Daisy! What a cute layout, fun title!!! 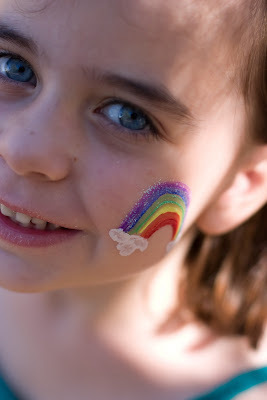 The kids look so adorable for Halloween and I also love the face painting, especially the rainbow with the glitter!!! And yes, eek about NOVEMBER!!!! Imagine how I feel when we always take a vacation in early December and when I get back Christmas is smack dab in your face! EEK! But I guess I can't complain about a vacation. That green is the perfect "pop" for the rich fall colors! Adorable costumes; you always take such fantastic pictures! They look adorable in the costumes! 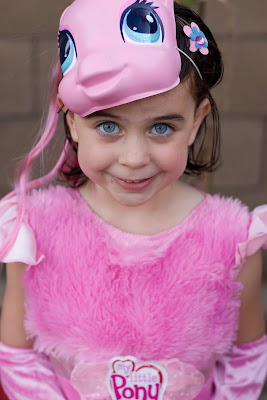 Too funny that those My Little Ponies have names like Pinkie-Pie... who knew? Certainly not me, lol! Luv it!! I just assumed they were known by their color... shame on me!! 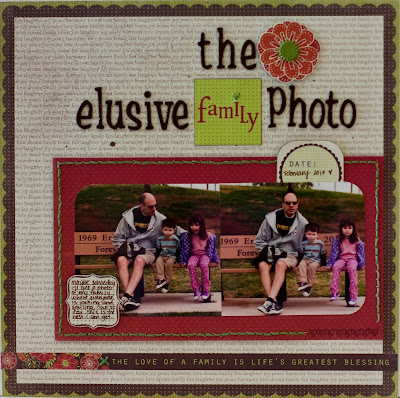 Beautiful layout and pictures...I know how you feel I already feel like I am behind on the Christmas shopping, ugh! Great layout! Fab pics! I can't believe how fast the year has gone wow. Hi Rebecca! I agree about time flying and how we need to enjoy it!! 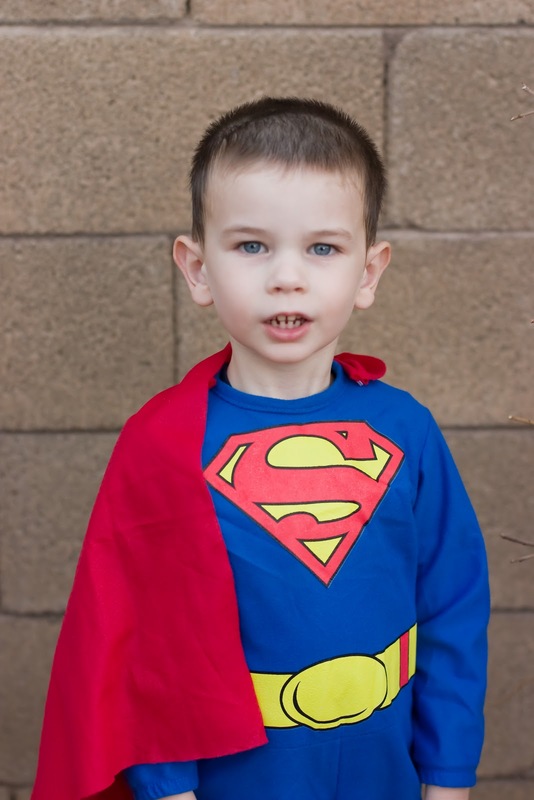 very sweet pictures of your kiddos!they look super cute in their costumes! love your take on the sketch! congrats for all your success! FUN Times!! And yes I can't believe it is November already. Where did the year go. Adorable pics and I'm feeling the same way about life/time speeding by us!